If off-roading is your game, you've probably found yourself in a situation with little visibility and where a set of shock mounted driving lights would've come in handy. KC HiLiTES understands this and wants you to know that you no longer have to live in the dark. They offer an affordable set of fog lights which were made for the outdoor and off-road enthusiast. Driving at night or during foggy or dusty conditions can be very dangerous. You can easily lose sight of where you are driving and potentially run into something causing harm to you or your vehicle. But with a set of KC Daylighter 6" halogen lights shining into the darkness you will surely get to your destination safely. 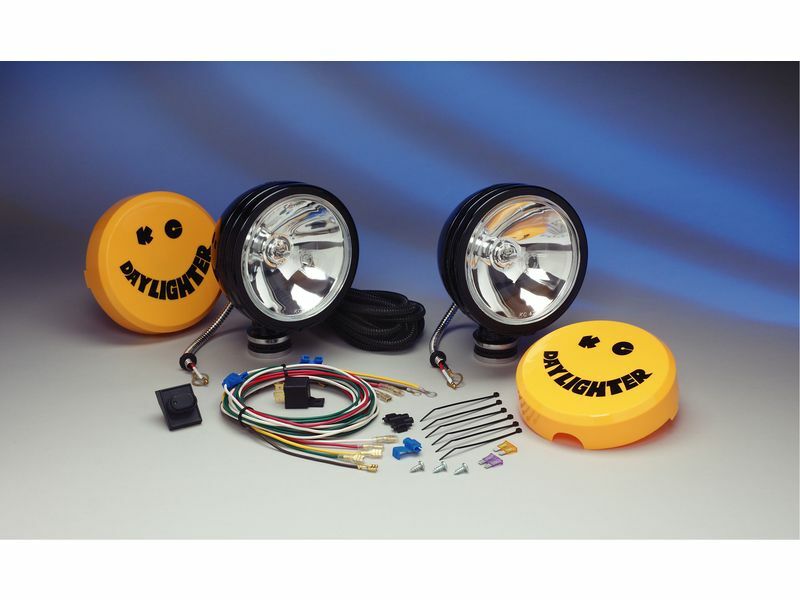 KC HiLiTES Daylighter fog lights for trucks give you the extra light you need to get out of the stickiest of situations. They are shock mounted; making them the ideal alternative in many fun and exciting scenarios including dirt racing, off road driving and in construction zones. Backed by KC HiLiTES industry-leading 23 year warranty. KC HiLiTES proudly warranties all of their products against failure for a period of 23 years. If a housing or reflector rusts, if a switch or relay fails, if a cover fades from the sun; we even warranty all of our bulbs against burnout. This warranty is limited to the original purchaser and a sales receipt may be required. After we receive your product, in most cases, it will be repaired or replaced within 2 business days and then returned to you via UPS Ground or US Postal service. UPS Air Freight or Federal Express expedited service is available at your expense. KC HiLiTES is not responsible for any charges incurred by the customer relating to the installation, removal or repair of the product. To return any KC HiLiTES failed or defective product, please clink on the link below and submit our Return Merchandise Authorization (RMA) form. The KC HiLiTES Daylighter halogen lights offer an easy, at-home installation. There is a wiring guide included with your lights that runs you through adding them to your truck. For additional information or if you have any questions, please call us and we'll do our best to help you out!